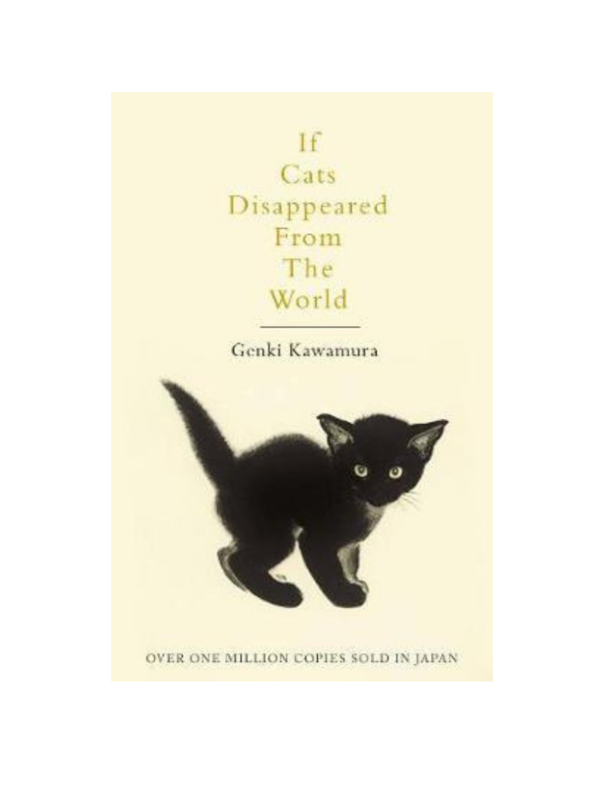 If Cats Disappeared From The World by Genki Kawamura has sold over 1.3 million copies in Japan. Genki is an author, producer, director, screenwriter and showrunner. His 2016 film Your Name has become Japan’s most successful film of all time and the highest grossing anime film worldwide. With only months to live, due to a grade four brain tumour, our unnamed narrator attempts to write a list of things he wants to do before he dies. It doesn’t go well. As he stumbles over a world of possibilities, the Devil comes to him. All smiles, sunglasses and Hawaiin shirts he’s not the image of the Devil you might expect, but he offers him a deal all the same. In exchange for choosing an item to disappeared from the world out narrator will get one more day to live. Our narrator considers the offer and decides it should be easy enough. At first, he decides on chocolate but after the Devil tastes it for the first time he convinces our narrator to choose something else. His second choice is phones, and the next morning phones are gone from the world. As our narrator continues to choose items to erase from the world to extend his life he starts to discover the worth of the objects around him and how they’ve shaped his life. I often leave writing my reviews for a couple of days, giving me time to mull things over. However, I’ve just finished If Cats Disappeared From the World and it’s left me a little bit (ok, a lot) broken, so I need to talk about it. You might have noticed quite a few Japanese fiction popping up on my blog lately, it’s a trend in publishing and it’s an area of fiction I really enjoy. Often the stories are gentle and give an insight into a culture so far removed from my own that I find it fascinating. However, it’s the meditative aspect of If Cats Disappeared From The World that made me fall in love with it. To simplify this book, it’s a novel that questions what makes life worth living. Can you live without your phone? Without time? Without your pets? What would push you over the edge and what, if it was removed, would change you as a person? As our narrator tries to put his life in order he reflects on his time with the love of his life, the death of his mother and the breakdown of his relationship with his father. While that sounds like incredibly heavy reading Genki Kawamura has sprinkled the story with a wonderful surrealism that breaks the tension. The Devil himself is a loud, slightly silly character who is referred to as Aloha due to his Hawaain shirts and there are some great passages where he gives our narrators cat the ability to speak. Unlike the sweary pirate voice that I imagine my old French Bulldog would’ve had, his cat grew up on costume dramas and if therefore far more elegant. If Cats Disappeared From The World is a thought-provoking, funny and hugely enjoyable novel. At only a couple of hundred pages, you can race through it if you want to but I found myself putting it down between chapters to think about how his choices would affect the world. I especially struggled to imagine a world without movies and to think what life would be without them. I also had to put it down a lot to find tissues, blow my nose and other general blubbering but you get the idea. In short, please buy this book. If Cats Disappeared From The World by Genki Kawamura is an incredible feat of writing, making me laugh, cry and take a moment to look at the world differently. Books this wonderful don’t come along often and if I could reach out from the screen and push it into your hand I would. Now excuse me while I clean up all my tear-soaked tissues and Google everything Genki Kawamura has ever made. If you like If Cats Disappeared From The World by Genki Kawamura you’ll love The Guest Cat by Takashi Hiraide.